Can you confirm these amateur observations of Boaedon virgatus? São Tomé, Principe (www.triplov.com, see URL below). 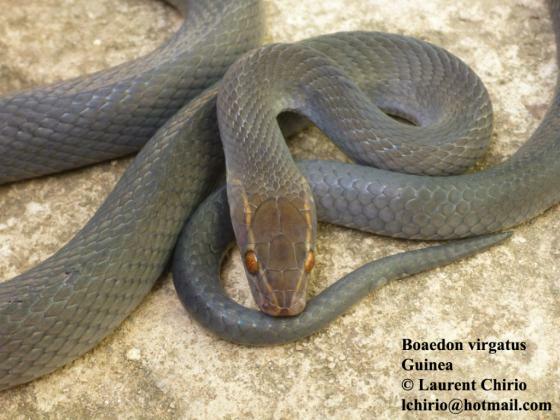 Type locality: Liberia; “Gaboon” fide Malnate 1971. 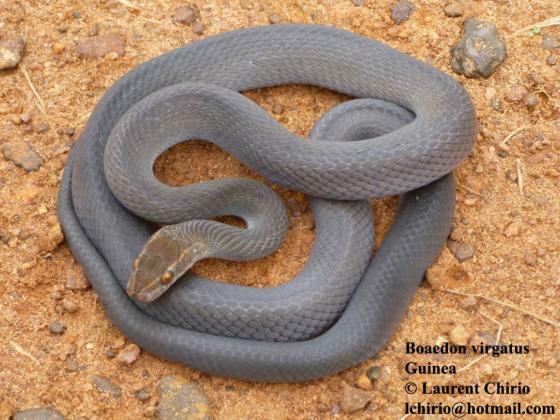 Comment Types: ANSP 10260-62 are the same specimens as the types of Boaedon quadrivirgatum Hallowell. Type of Boaedon nigrum: ZMH R08378 (from São Tomé). 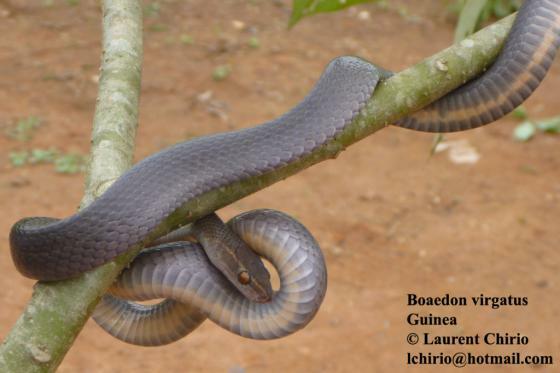 Not reported from Benin according to ULLENBRUCH et al. 2010.